If Ford’s C-Max Hybrid represents the future of cars, I’ll start reviewing toasters. This expensive derivative of the $16,995 Focus costs $31,085, weighs a whopping 3,639 pounds, but makes just 141hp in petrol mode or 188hp in combined petrol/electric mode. Saddled with a noisy CVT (Constant Velocity) transmission, the C-Max whines its way laboriously to thrust. The faster you accelerate, the more noise you generate from the drivetrain. 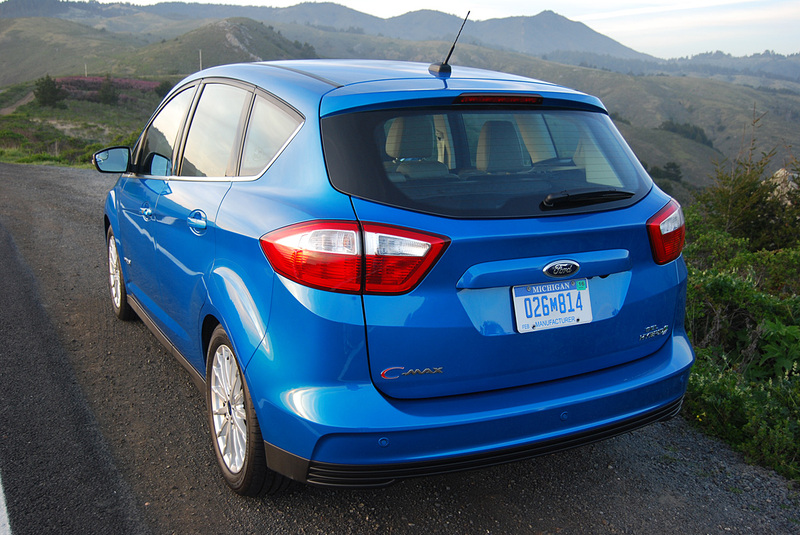 It makes you want to plop the C-Max into the slow lane on the freeway and stay there. Although it posts a combined city/highway fuel economy rating of 47 MPG, it will take you a couple of decades before you recoup the $14,000 price difference to a petrol powered baseline Focus. Ford has reinvented the concept of the dashboard in this car. Instead of providing such essential information as water and oil temperatures, greenie marketing types have installed a plethora of video games designed to challenge your environmental commitment. There’s a “Tutorial” slate from which you can chose such hot topics as “Braking Coach,” which assesses your proficiency at maximizing energy reclaimed through regenerative braking. If you tire of that game, which appears in the left quadrant of the instrument binnacle, you can always scan the video depiction of a tree that occupies the right quadrant. The number of “Efficiency Leaves” dropped by this shrub indicate your level of energy conservation. The fewer leaves and vines you drop, the more efficient your driving. Drop enough leaves and you’ll need to revisit the Braking Coach for a repeat seminar in pedal application. To win all these video games, just park the C-Max and drive something else. Is there anything greener than an undriven car? With all those video distractions available, driving C-Max is the mobile equivalent of texting on your iPhone while trying to avoid bumping into people on the street. Sure, if you focus clearly enough, you can pay attention to your driving, but it’s too easy to get caught up in the conservation strategies. Ford conscientiously renders most of the Apps inoperable while driving, but there are still enough dash delights to keep your mind occupied by everything but the road ahead. 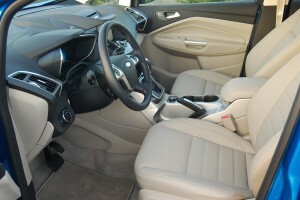 Block off the video console, and the C-Max provides a satisfying driving experience. The electronically assisted power steering, for example, is precise enough to enable you to clip apexes with impunity. The leather wrapped steering wheel affords a solid grip thanks to two flared paddles at the 10 and 2 positions that give you better leverage when the road throws curve balls at you. The Michelin Energy Saver A/S tires (225/50R17) are surprisingly clingy given their rock-hard 480 treadwear rating. The downside of this rubber choice is the Michelins need to be inflated to 38 PSI. 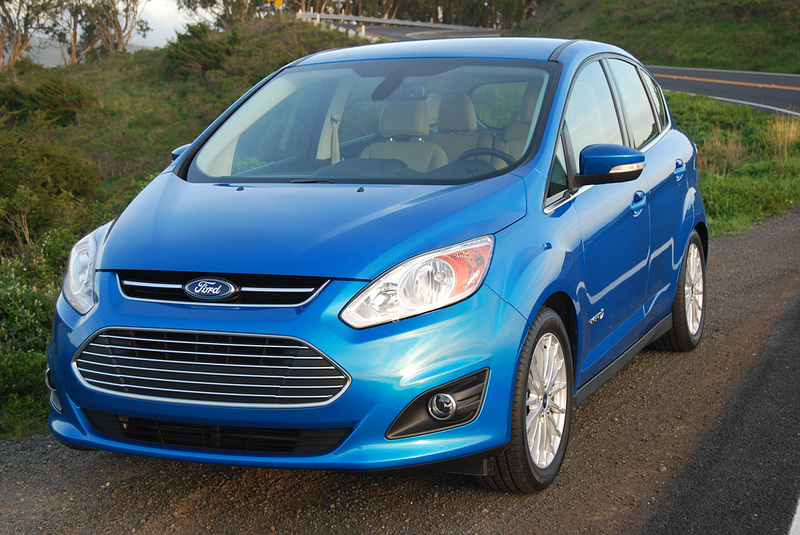 At that pressure, the C-Max bounces its passengers around like toys in a Piñata. With both rear seats erect, the C-Max provides 25 cubic feet of storage space, Dropping the rear seats increases that number to 45 cubic feet. The $2,215 Equipment Group 302A transforms the interior of the C-Max into a hospitable, luxurious environment by adding a Power Liftgate, Rear View Camera, Premium Audio and Navigation. The diminutive sedan accepts 4 adults graciously, 5 in a pinch, with large enough doors to ease loading and disembarkation. The C-Max Hybrid looks positively practical when compared to its Plug-In brother, the “C-Max Energi” model, which costs an extra $7,750 and travels just 20 miles before its EV supply dies and its petrol engine kicks in. 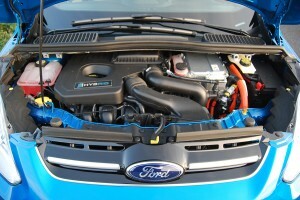 If you are a confirmed greenie, the C-Max Hybrid makes much more sense the Energi. But if you just like to drive, this pricey Hybrid doesn’t make much sense at all. Torque: 129 lb.-ft. + 117 lb.-ft.
2009 Subaru Outback Review - the car that loves the outdoors, no matter the conditions! The BMW ActiveE - What Would The Jetsons Think?